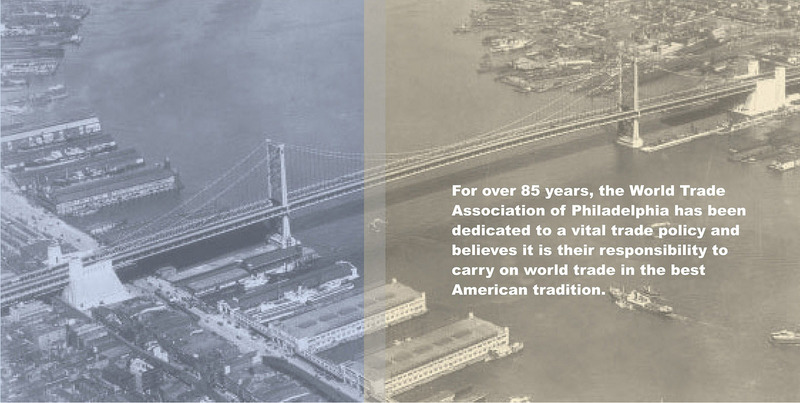 The World Trade Association of Philadelphia hasbeen connecting the Philadelphia region and the world since 1931. Trade is essential to our region and nation, and the WTA facilitates trade through our educational, networking and charitable events. contemplate pecuniary gain or profit, incidental or otherwise, to its members." the trust and knowledge for trade to thrive. We invite you to join the WTA today and become part of our vibrant community.